Many of the large real estate sites are now offering information for each home in pre-foreclosure, and this confuses a lot of homebuyers. In case you haven't heard the term before, it merely means all the homes that have been served foreclosure papers (lis pendens) but the bank has not yet taken back the home. Of course, many of these are already being actively marketed as short sales, but there are those properties where the owner does not want to sell or has not decided to market the home for some reason. 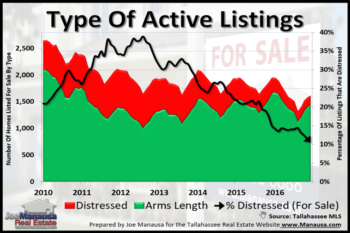 It is these elusive pre-foreclosure properties that are frustrating buyers looking for a great deal in the Tallahassee real estate market. So how does one go about seeing them? Can You Even Buy A Home In Pre-Foreclosure? 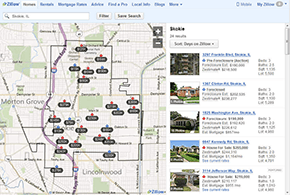 Although these properties are posted online they are not technically for sale. The owner of the property is behind on payments and this home could take anywhere from 3 to 18 months to make it to market, if at all. But if you are specifically interested in a certain home in pre-foreclosure, there are some things your real estate buyer's agent can do to move you to the front of the list for buying the home. Don't let your curiosity in a pre-foreclosure listing determine which agent you use to buy your next home. Interview real estate agents for the job of helping you buy your next home. Choose the one that is best trained to help you, whether buying a pre-foreclosure or any other type of home. Once your agent has been contracted, then you should evaluate the entire playing field, not just a single property. By following this safe process, you won't make a very common mistake that I see all the time since the housing market bubble burst. What mistake? Some people think buying a foreclosure, short sale, or pre-foreclosure guarantees that they get a great deal. While some of these distressed properties can be bought at a steal, most end up being negotiated for an amount equal to market value less the work needed to bring them back into shape (meaning full market value is being paid by the buyers). So, many buyers buy a distressed property, put money into fixing it up, and then end up having full market value invested in the property. And they make this mistake because they do not have expert guidance along the way. Don't let this happen to you! If you would like help buying a pre-foreclosure in Tallahassee and would like to make sure you get it below market, just drop me a note and we can schedule a time to review your needs and bring you up to speed on market conditions.